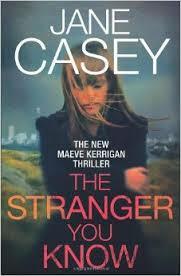 When eighteen year old Chloe Emery returns to her house to find it covered in blood and her mother missing, and DS Maeve Kerrigan and the murder investigation squad are called to investigate. While investigating the various shady neighbours living on the street, all of whom seem to be hiding something, they uncover a complicated web of lies, deceit and deeply buried secrets. 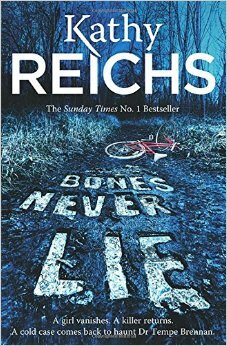 The latest installment in Kathy Reichs’ long running crime series featuring forensic anthropologist Temperance Brennan, ‘Bones Never Lie’, continues in the vein of her previous novels – fast paced, full of twists and turns and a great main character that readers can relate to. When young girls start showing up dead in circumstances that are strikingly similar to one of Tempe’s old cases, she is forced to face her demons as she, along with her team, try to catch ‘the one that got away’. This ‘one that got away’ is a sadistic killer with every reason to hold a grudge against Tempe. But is the same person behind this latest spate of killings? With little evidence to go on, Tempe goes back over every detail of her old files, hoping to find the one thing that will break the case. But it’s not long before things get personal – and Tempe has to fight tooth and nail to stop the culprit before it’s too late. 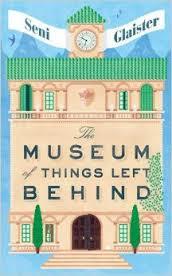 ‘The Museum of Things Left Behind’ is set in the entirely fictional country of Vallerosa, which is supposed to sit somewhere in the middle of Switzerland, Italy and Austria. Lizzie, a British student, arrives in Vallerosa aiming to widen her horizons, intending to give to those judged less fortunate than herself by helping out in a hospital, orphanage or similar institution. What she finds is very different. Run by an elected dictator, who inherited the job from his father, Vallerosa’s government seems entirely hung up mindless bureaucracy – a committee to decide the name of a committee or a meeting with the under-secretary to arrange a meeting with the Secretary. Positions of power are inherited, women are scarce and the President himself is consumed by self-doubt. The country is neatly divided into those in government and those that are more working class – and the two groups really mix socially. But at the same time, everyone is educated, employed, healthy and generally happy. Lizzie is initially at a loss as to what to do with her time. But she quickly learns that she can give seething back to this country, albeit not at all in the way she’d planned. Confusion over her identity pushes her straight into the heart of government, giving her a unique opportunity to see life from the viewpoint of the countries many dedicated officials. At the same time, she goes out of her way to speak to ordinary people. Initially, she sets out to find a way to fix the town clock, and in doing so, she may have the opportunity to bring the country even closer together. Detective Maeve Kerrigan has a strained relationship with her boss – the chauvinistic, obnoxious, but occasionally charming DCI Josh Derwent. But when a recent spate of murders in London starts throwing up parallels to the murder of Dewent’s girlfriend twenty years earlier, it soon becomes clear that her superiors suspect that he might have a darker side. Despite being under strict instructions not to talk to Derwent about the details of their current investigation, Maeve finds herself increasingly torn between following orders and allowing Derwent to help her in her attempts to find out what really happened to his girlfriend all those years ago. 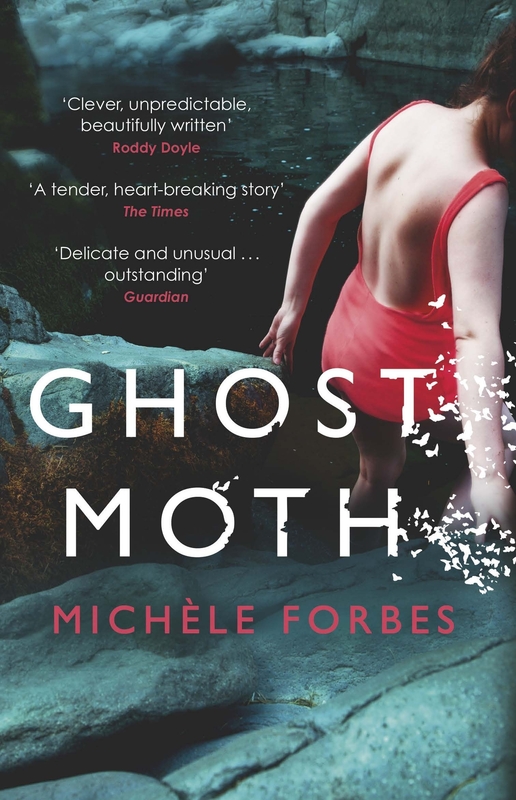 Set in Belfast, Ghost Moth follows the lives of Katherine and George against a backdrop of considerable social unrest and religious tension. In 1949, Katherine is young, vivacious and discovering all of the new opportunities that life has to offer. She’s also torn between two men – George, her fiancé, who is steady, loyal and dependable, and Tom, who offers fire, passion and unpredictability. As months go by, Katherine has to make a choice that will have far-reaching consequences, indelibly marking all involved.